Our continuous inkjet marking systems will provide you with customized product markings and labeling. Label materials such as glass, ceramics, rubber, plastic, wood, metal, nonwoven fabrics, paper, and cardboard, contact-free with your data, graphics, and information: expiration dates, lot/batch numbers, barcodes, 2D codes (QR code, data matrix). No matter which printing position you are marking from and which printing direction you are printing in. The way the product or the component is fed is not relevant either: Whether it is moving forward or backward, whether the print has to be mirrored or even rotated at an angle, you will always obtain a perfect printing result. Even on different printing surfaces – whether smooth, rough, bent, or structured, slightly oily or moistened with water – the text or graphic will always be clearly recognizable and dry fast or even very fast. You will receive marking fluids for your markings that dry in less than one second. Even two-line information can be printed simultaneously with different fonts with the continuous inkjet printers. All fonts are scalable in height and width. Contrast, boldface, and italics can be set individually. The industrial marking systems are tailored and adapted to your needs to always give you the best printing results. A diagnostics tool package will make your work easier, while offering a short response time. Based on the comprehensive event log, complex environmental variables can be detected and analyzed at an early stage to significantly reduce marking system downtimes. Discover the possibilities of freely combining and intuitively applying texts and graphics. The software functions allow for time, date, and shift functions. Consecutive numbering can be customized to always keep you up to date with your coding. 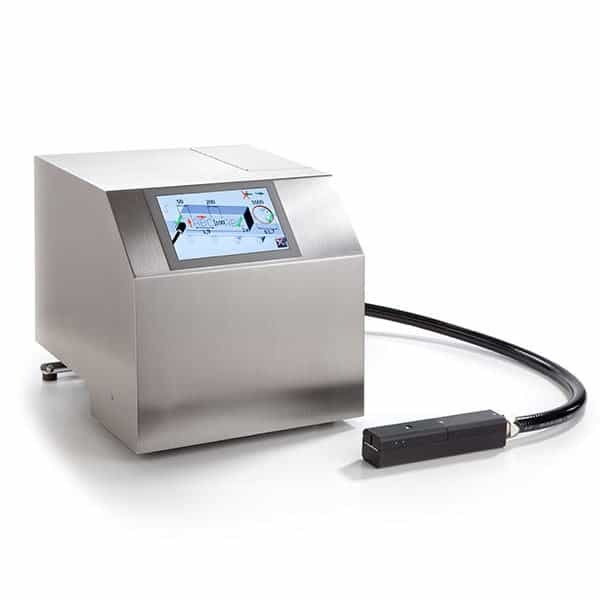 The continuous inkjet printers are controlled via an intuitive color touch display with a Windows-based user interface. The monitoring functions ensure the reliability of your production during operation. 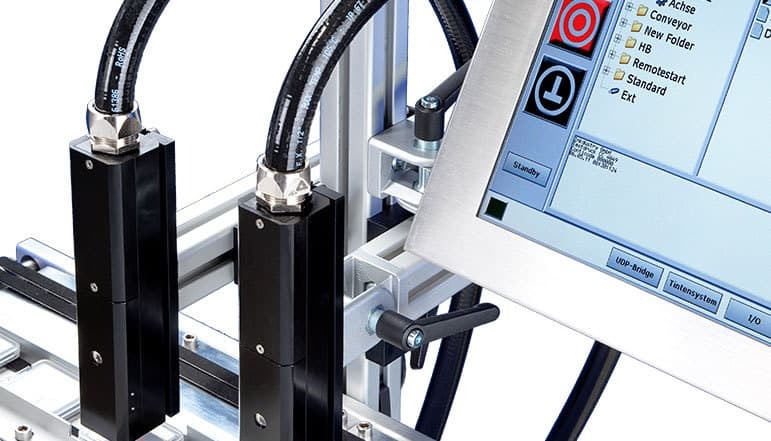 The different interfaces allow for the easy integration of the Continuous Inject Printer as a printer, with start/stop commands or in complex network structures to optimize your manufacturing processes. 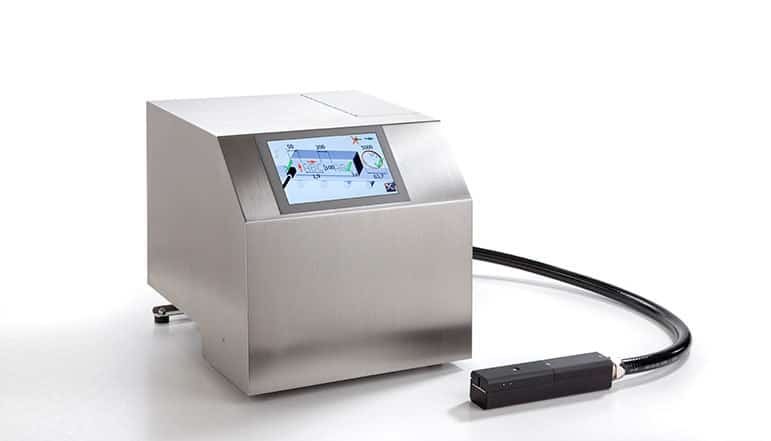 The continuous inkjet CodeCubeXL will give you best and consistent standard markings at a low price without compromising reliability and ease of operation. 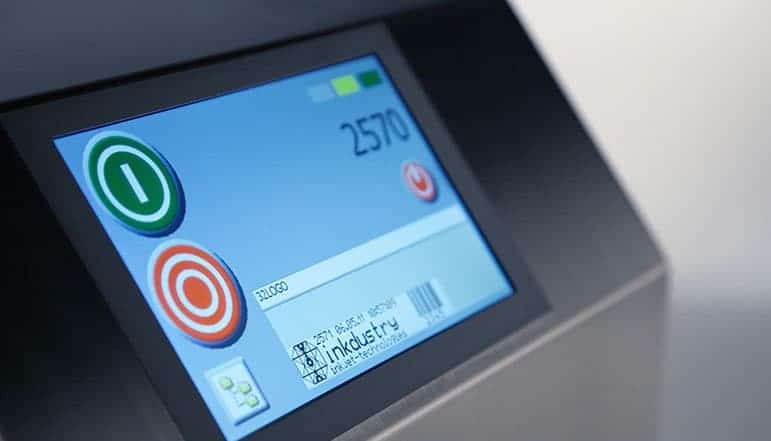 The continuous inkjet's user interface uses clear and easy to understand icons and menu structures.  Graphics can be selected in the text output modus in up to 32 pixels. High-speed applications can also be installed, in addition to the many quality modi. 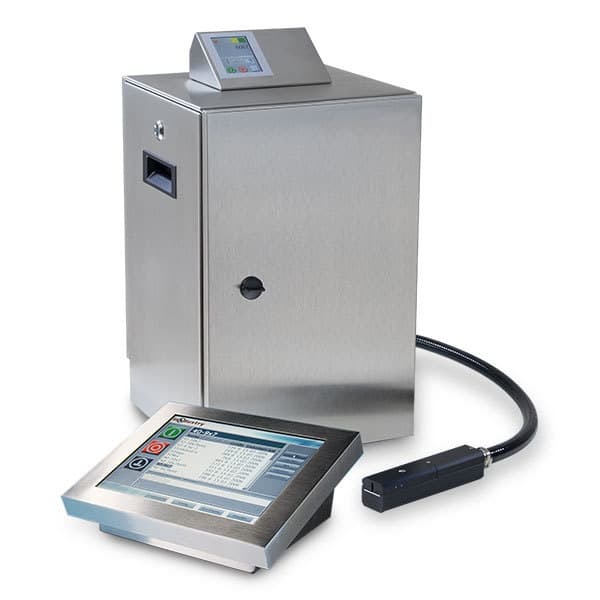 The USB port makes it possible to save and exchange the marking system configurations as desired. The integration into the company intranet can be configured via the network connection. The CodeCubeXL is not only equipped with an ink container that is easy to refill but also an aluminum print head that is easy to service. By principle, only high-quality, robust components that ensure exceptional durability in industrial product marking applications are used. The CodeCreator you will always keep you up to date. A true standout – with easy maintenance thanks to the 4-door concept as well as the integrated solvent recovery system. Our "green" all-rounder with low emissions. The CodeCreater combines the extraordinary and intuitive user interface of the CodeCube with the high-end ink function of the CodeCenter. This gives you a very environmentally friendly continuous inkjet printer with low emissions as well as a low consumption of solvents. In addition, the marking system can also be equipped with the optional 2 agitators. These will allow you to also process pigmented inks with the continuous inkjet printer. 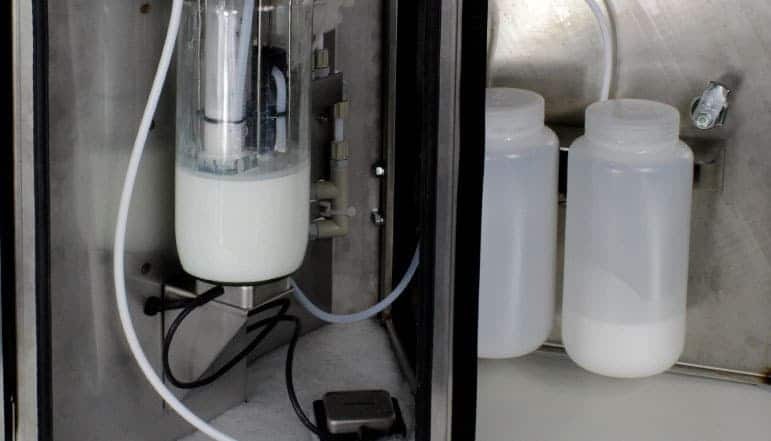 And thanks to the automated standby function, which performs a regular maintenance of the ink function in hourly intervals, special inks can also be used with the marking system. The CodeCenter’s scalable module concept will give you an infinite number of possibilities. Additional devices such as robots, cameras, and axes can be controlled via the central control device and connected to the marking function. A marking system completely tailored to your needs and wishes. 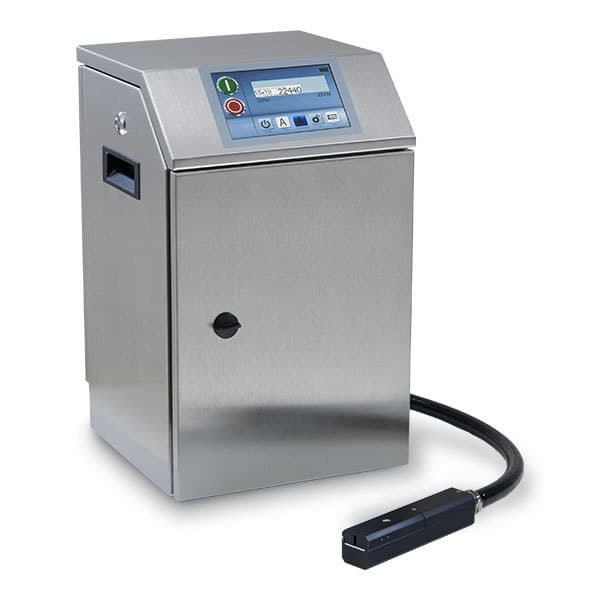 The CodeCenter continuous inkjet printer is the ideal marking system for complex and difficult applications. 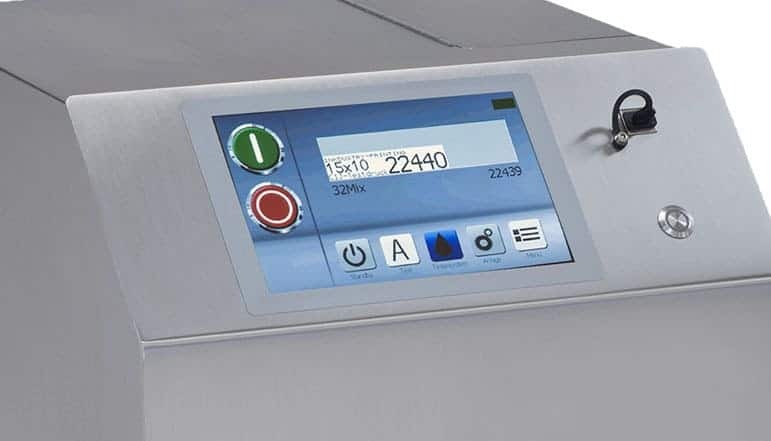 The convenient graphic menu structure of the continuous inkjet printer features a language-neutral user interface and displays the actual status as well as the on-site signal control system for the input and output signals. The CIJ Printer's actual control system functions can be adjusted by several program levels. Remote diagnostics tools enable short response times. 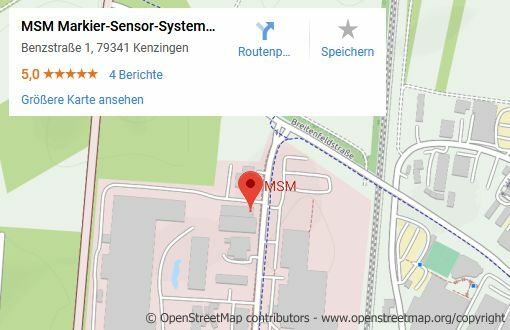 Based on the comprehensive event log, complex environmental variables can be detected and analyzed at an early stage to reduce marking system downtimes. The optimal ergonomic access to the user interface is made possible by the flexible placement of the terminal. One highlight is the industrial-scale implementation via the "Embedded" version of "Windows 8". 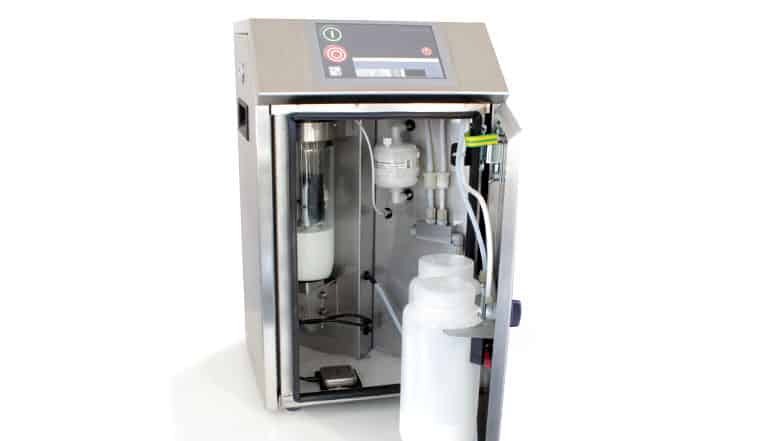 It allows for the configuration of the "standalone" CIJ printer as a complete solution for an application. The CodeCenter 2 is the logical continuation of our line of continuous inkjet printers. An extra module includes the addition for the second print head. 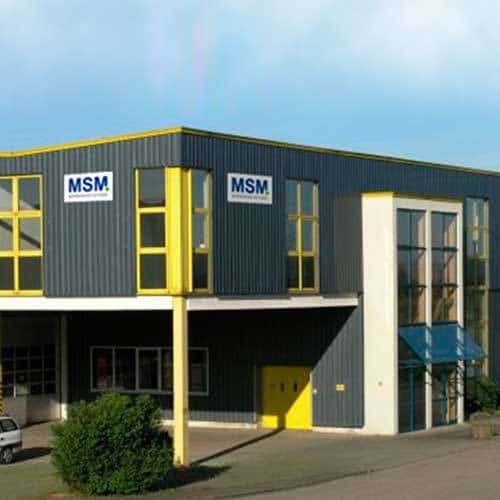 The result is a high-performance marking system with an attractive price/performance ratio. 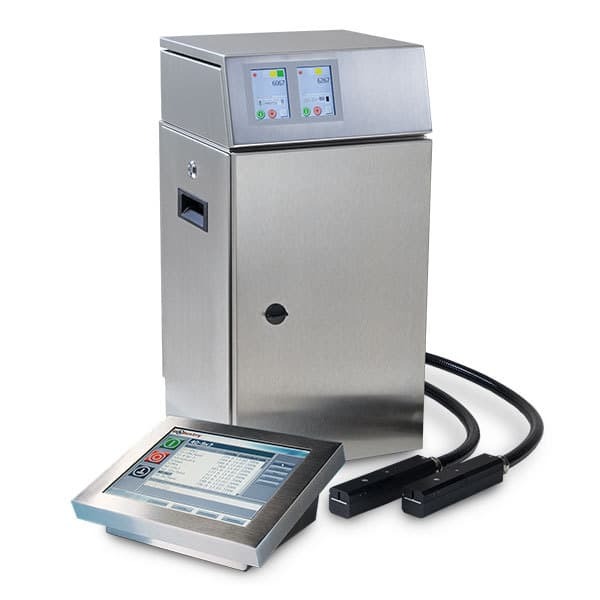 The user interface is analogous to the standard CodeCenter continuous inkjet printer. 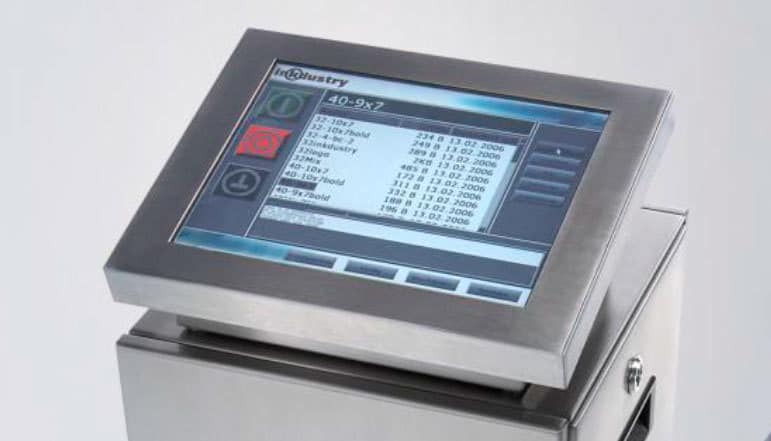 Based on the CodeCenter Software and the program levels, the 12" data interface allows for both the independent as well as the parallel operation of the print heads. Each print head is equipped with a 3.5" display that shows the actual status and makes the entire operation possible.